Arlington, Texas, is a mecca for growing businesses and established businesses alike, and it’s also a place where businesses come to do business. Whether you’re looking to grow a home-based business here in Arlington or just need meeting rooms in Arlington TX, NuvoDesk offers the conference room rental Arlington TX you’re looking for. NuvoDesk was created to help make dreams a reality, and we offer carefully crafted spaces and amenities designed to simply make your life better. Plus, we offer all of our services to be affordable and with a level of customization you likely won’t find elsewhere. Meeting rooms Arlington solve a common problem faced by many local, national, and even international entrepreneurs. You need a meeting space that’s professional and affordable. Here at NuvoDesk, we’re proud to offer meeting rooms in Arlington TX that meet your needs. As far as meeting rooms Arlington go, we offer some of the best amenities around. When you choose one of our conference room rental Arlington TX options, you’re also choosing access to a world-class eatery with gluten-free foods, wines, and beer; receptionist services; and much more. We encourage you to also explore our other options, including coworking spaces and virtual mailbox services. While you might not need them now, the NuvoDesk team would love to serve you if the need arises in the future. When searching for meeting rooms Arlington, you have probably come across a wide array of options. For instance, many local hotels offer meeting spaces, and you can always rent an office for a short-term stint. 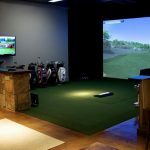 Unfortunately, many of the other options you might have come across can be less than cost-effective while offering less than par amenities. If you want a truly amazing experience for you and your clients or prospective partners, then you need a conference room that sparks the imagination. NuvoDesk offers to aim this and more. When you walk into a NuvoDesk conference room, you’ll be impressed by the quality of our furniture and decor. It’s all been crafted in a way that makes people feel warm and welcomed. If you’d like to offer this for your clients or partners, then why not schedule a tour today. We’d be happy to show you just what NuvoDesk meeting rooms have to offer!